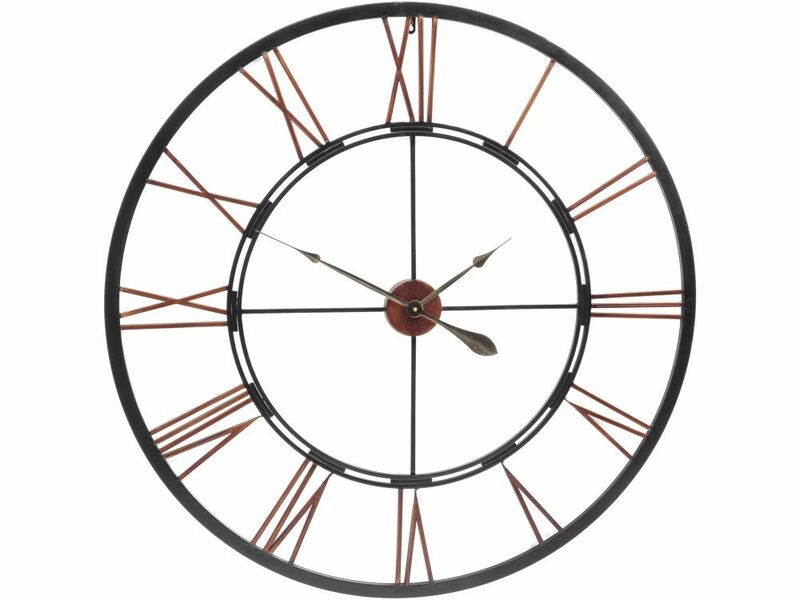 Spice up large walls - plastered, papered, painted or brick - with this striking giant metal wall clock. The red-tinged copper of the Roman numerals plays perfectly with the dark black rim to make this giant iron wall clock an eye-catching focal point. The see-through design and neutral shades of red-brown and black means this iron wall clock will complement most colour schemes. At a metre wide, this huge skeleton wall clock will have a dominant presence in any room and, such are its oversized features, you may forget that it's also a reliable timepiece. It's the perfect clock to create a smart warehouse style, oozing with old-fashioned vintage charm and character.